These are the challenges of Joan the Booking Solution. Its ongoing mission: to explore strange smart offices; to seek out new ways of room management and new localizations; to boldly go where no booking solution has gone before. After exploring a multitude of beneficial properties offered by our smart e-paper booking solution, we have once again encountered a topic worth expanding on, and that is language. Although certain other lingos are very gradually catching up, English remains the lingua franca of the business world. However, it’s comforting to know that your favorite room management device understands your native tongue. Yes, Joan is multilingual. And learning fast. In fact, it’s probably one of the rare IT solutions that offers a language that’s out of this world. Quite literally. Klingon. That’s right, the language spoken by the warrior tribe of aliens called Klingons in the ever-popular science fiction franchise Star Trek is available as one of Joan’s language settings. As we’re positive the geek in you wants to know more, we’ve taken the liberty of explaining further. 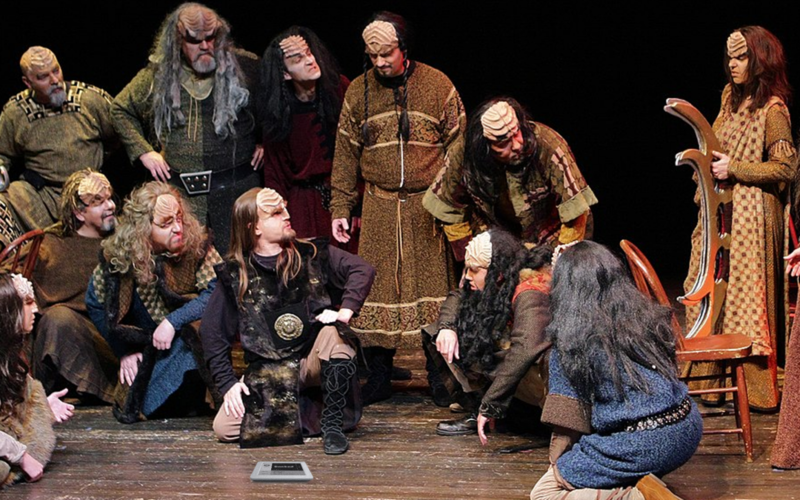 “The Klingon vocabulary is surprisingly rich for something that was created as a prop for a science fiction movie,” says Alan Anderson from the Klingon Language Institute. Anderson, who is, by the way, our official Klingon translator, says that translating a document into this alien tongue is relatively straightforward. If it’s not too full of specialized jargon, that is. So, does that mean you could pop a simple text into a machine translator, e.g. the likes of Bing Microsoft Translator, and the latter would produce perfect Klingon? Sounds legit. But how difficult was it to teach Joan? It certainly sounds like there might be a few linguistic nuts left to crack, but we’re confident that these too will be dealt with at warp drive in the very near future. Happy meetings. Live long and prosper!